Background: Acute upper gastrointestinal bleeding is a common and potentially life-threatening emergency with substantial mortality. Fresh frozen plasma (FFP), a good source of coagulation factors, might be an ideal injection agent based on its physiologic properties. Therefore, we evaluated the role of FFP as a hemostatic agent in patients with high-risk bleeding peptic ulcers. Materials and Methods: From August 2015 to April 2016, 108 consecutive patients with high-risk bleeding ulcers were admitted to our university hospital. They were randomly assigned to undergo injection of epinephrine alone (A) or epinephrine plus FFP (B). The primary outcomes assessed were the initial hemostasis, recurrent bleeding, hospital stay, blood transfusion, surgery rate, and 14-day mortality. Results: Initial hemostasis was achieved in 47 of 50 patients (94%) in the Group A and 49 of 50 patients (98%) in the Group B (P = 0.61). There were no significant differences in the rate of recurrent bleeding between Group A (14%) and Group B (8%) (P = 0.52). We found no significant differences between Group A and Group B with respect to the surgery rate, bleeding death, procedure-related death, and duration of hospitalization (P > 0.05). 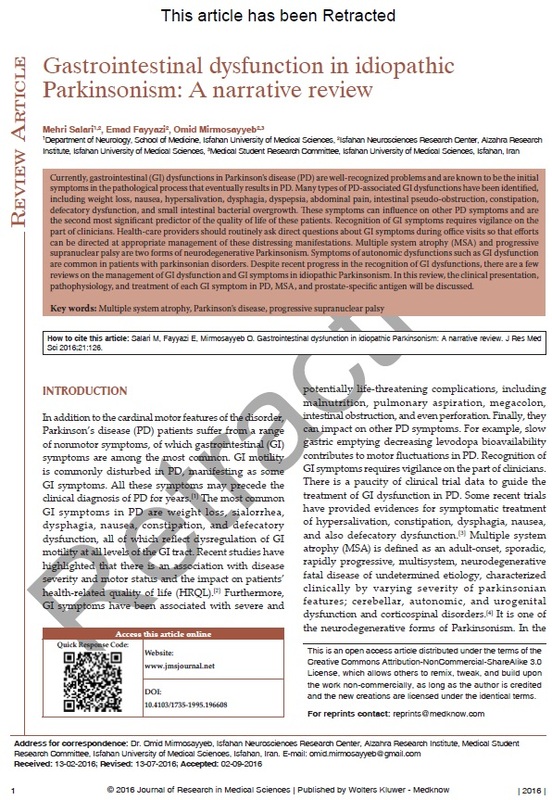 Conclusion: It is concluded the injection of epinephrine alone was equally effective as injection of epinephrine plus FFP to endoscopic hemostasis. Epinephrine alone and epinephrine plus FFP were not different in recurrent bleeding, rate of surgery, blood transfusion, or mortality. Background: This study aimed to compare the percentage of detection of periarthritis in patients with rheumatoid arthritis using clinical examination and ultrasound methods. Materials and Methods: This study is a cross-sectional study which was conducted in Al-Zahra Hospital (Isfahan, Iran) during 2014–2015. In our study, ninety patients were selected based on the American College of Rheumatology 2010 criteria. All patients were examined by a rheumatologist to find the existence of effusion, and the data were filled in the checklist. The ultrasonography for detecting effusion in periarticular structures was done by an expert radiologist with two methods, including high-resolution ultrasonography and power Doppler. The percentage of effusion existence found by physical examination was compared by sonography, and the Chi-square and t-tests were used for data analysis. Results: The percentage of effusion found in areas with physical examination by rheumatologist was lower than the frequency distribution of effusions found by sonography (8.3% VS 14.2%) (P < 0.001). In sonography, rotator cuff tendonitis is the most common periarthritis. Other findings in sonography were biceps tendinitis (10 cases), wrist tendonitis (13 cases), olecranon bursitis (9 cases), golfers elbow (4 cases), tennis elbow (4 cases), trochanteric bursitis (6 cases), anserine bursitis (6 cases), prepatellar bursitis (11 cases), and ankle tendonitis (7 cases). 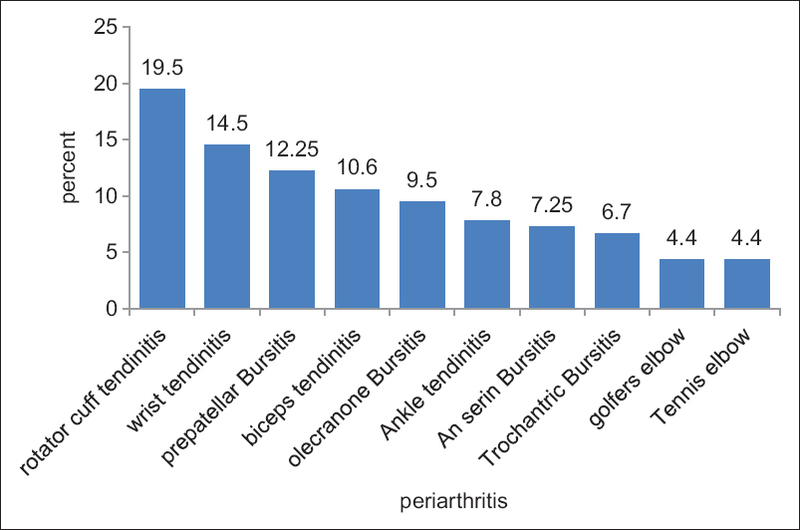 Tenderness on physical examination was found in 15% of the cases, and the evidence of periarthritis was found in 21/7% through sonography (P < 0.001) and 34% through Doppler sonography (P < 0.001). Conclusion: The percentage of periarthritis detection by ultrasonography and power Doppler sonography was higher than clinical examination. Hence, the ultrasonography is more accurate than physical examination. 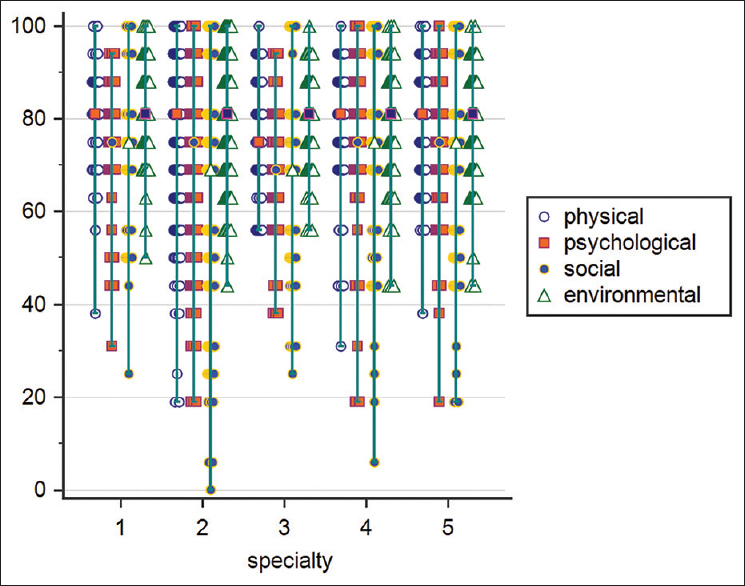 Background: Quality of life in patients represents an important area of assessment. However, attention to health professionals should be equally important. 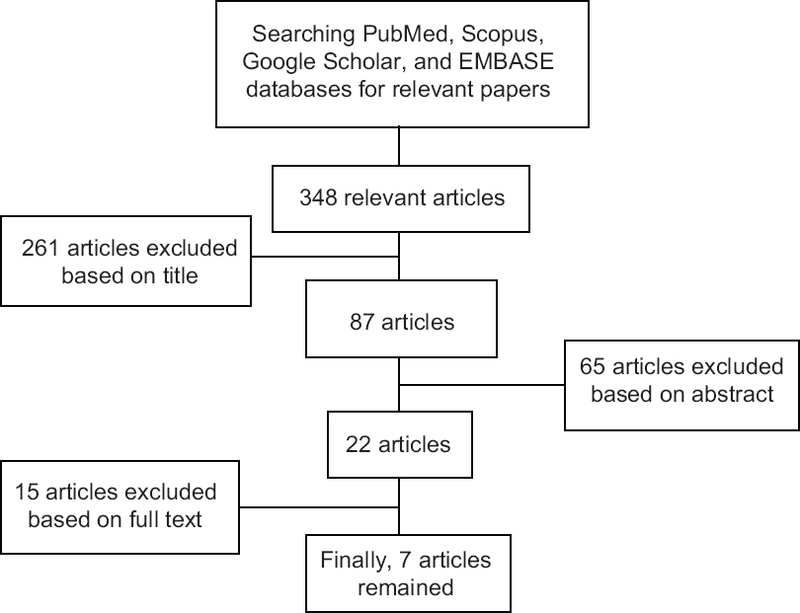 The literature on the quality of life (QOL) of emergency physicians is scarce. This pilot study investigated QOL in emergency physicians in Germany. Materials and Methods: We conducted a cross-sectional study from January to June in 2015. We approached the German Association of Emergency Medicine Physicians and two of the largest recruitment agencies for emergency physicians in Germany and invited their members to participate. We used the WHO Q-BREF to obtain QOL scores in four domains that included physical, mental, social, and environmental health. Results: The 478 German emergency physicians included in the study held board certifications in general medicine (n = 40; 8.4%), anesthesiology (n = 243; 50.8%), surgery (n = 63; 13.2%), internal medicine (n = 81; 17.0%), or others (n = 51; 10.7%). The women surveyed tended to report a better QOL but worse general health than the men. Regarding specific domains, women scored worse in physical health, particularly energy during everyday work (relative risk ratio [RRR]: 1.98 [1.21–3.24]). Both men and women scored worse in psychological health than general health, particularly young women. Women were also more likely to view their safety (RRR: 1.87 [1.07–3.28]) and living place (RRR: 2.51 [1.10–5.73]) as being poor than their male counterparts. Conclusion: QOL in German prehospital emergency care physicians is satisfactory for the included participants; however, there were some negative effects in the psychological health domain. This is particularly obvious in young female emergency physicians. Background: The purpose of this study was to evaluate the influence of ejection fraction (EF) on peak aortic time (PAT) and peak aortic enhancement (PAE) during coronary computed tomography angiography (CTA). 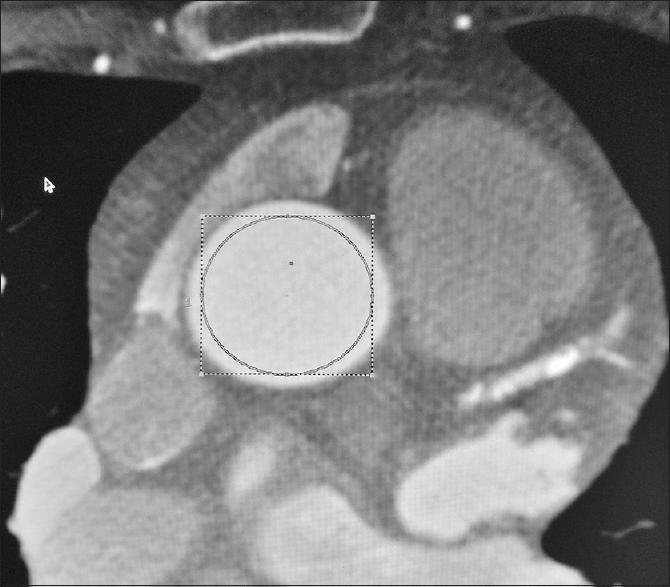 Materials and Methods: One-hundred and twenty patients (64 men, 56 women) underwent measurement of coronary CTA with a measurement of EF within 3 months of coronary CTA. Pearson's correlation coefficient analysis was used to investigate the relationships between EF, PAT and PAE, and peak attenuation of all coronary arteries. Results: The range of EF was (25%–70%) (mean: 55 ± 7.7). The range of PAT and PAE of ascending aorta on bolus test was 13–31 s (mean: 19.3 ± 2) and 153–435 HU (mean: 235 ± 40.6), respectively. Mean peak attenuation of ascending aorta, right coronary artery, left coronary artery, left circumflex artery, and left anterior descending were (561 ± 119), (476 ± 109), (505 ± 108), (467 ± 113), and (473 ± 104), respectively. There was a negative correlation between EF and PAT (r = −0.266, P = 0.003); however, there was no significant correlation between EF and PAE (r = −0.027, P = 0.767).In addition, there was no significant correlation between EF and the peak attenuation of coronary arteries. Conclusion: PAT was related to EF, but there was no relationship between PAE and EF. One of the explanation is that the left ventricular EF used for our study was assessed with echocardiography which is used roughly estimation of EF with interval of 5%–10% and may cause confounding results. Background: Preeclampsia complicates up to 3% of pregnancies in developing countries. Endothelial dysfunction plays an important role in pathogenesis of preeclampsia. In this study, we aim to evaluate the effect of low-dose aspirin on endothelial dysfunction in preeclamptic patients. 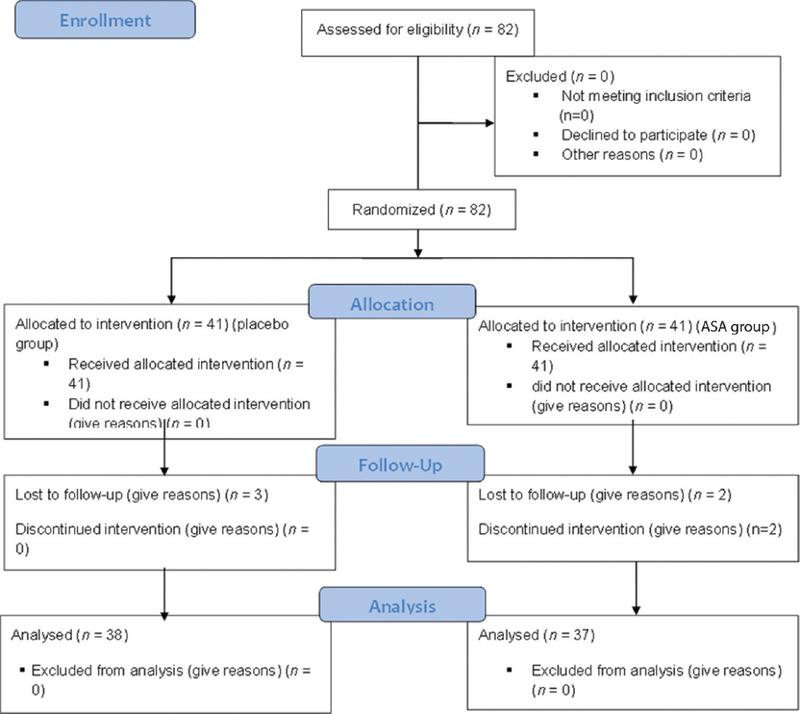 Materials and Methods: in this triple-blind randomized clinical trial, enrolled patients were divided randomly into two groups. Acetylsalicylic acid (ASA) 80 mg or placebo will be taken daily by oral administration from the initiation of diagnosis until 2 months after delivery. Every patient's flow-mediated dilation (FMD) were evaluated at the beginning of study and 2 months after delivery with the same experienced operator at a same period of the time (3–5 pm) by high-resolution B-mode ultrasonographic. T-test or Mann–Whitney test was used in the comparison of means between the intervention and placebo groups. To compare FMD in each group, before and after the intervention, paired t-test was used. Results: Mean value of FMD in intervention (9.61 ± 5.58) and control group (9.40 ± 4.33) have no significant differences before drug consumption (P = 0.089). FMD in intervention group significantly increased after ASA consumption ([9.61 ± 5.58 vs. 13.65 ± 7.91] [P = 0.044]). Conclusion: Increase mean of FMD in intervention group shows that this supplement can improve endothelial function. Background: Echinococcosis is a parasitic disease with worldwide distribution which is caused by the tapeworms Echinococcus granulosus. Diagnosis of the disease relies on imaging techniques, but the techniques are not able to differentiate the cyst from benign or malignant tumors; hence, appropriate serologic methods are required for the differential diagnosis of the infection. 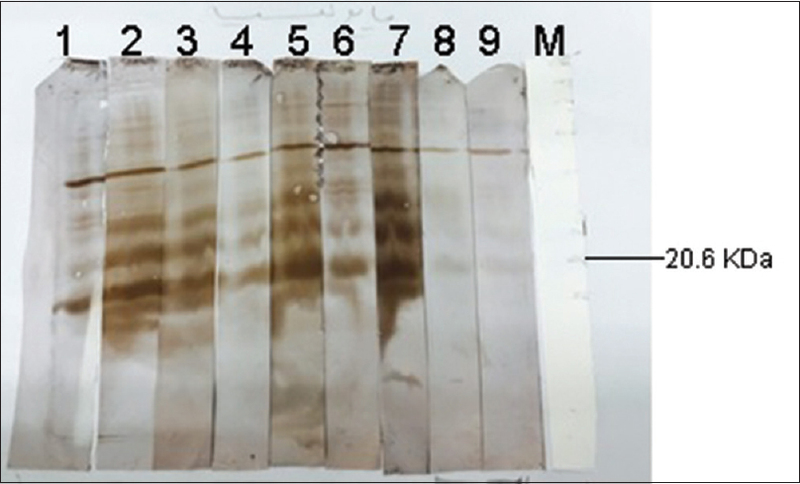 Materials and Methods: In this investigation, different sheep hydatid cyst antigens probed with thirty sera of patients with hydatid cyst and also thirty human normal sera using Western immunoblotting technique. 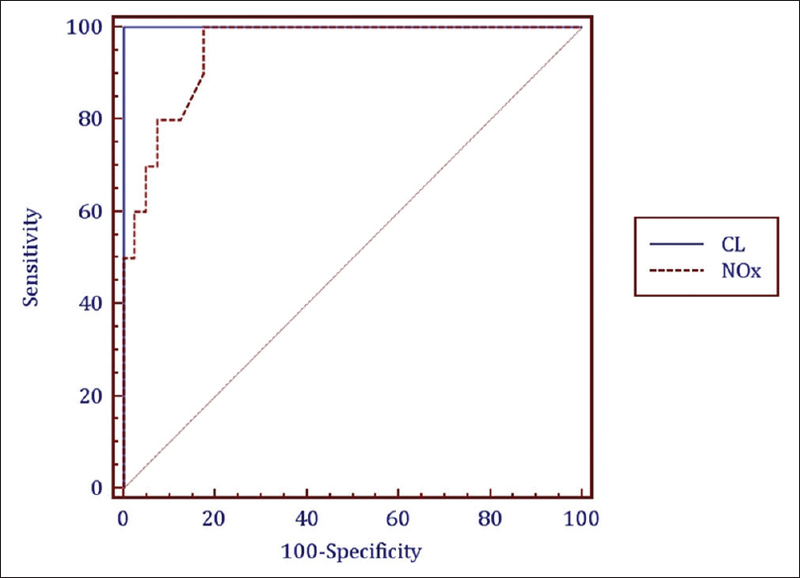 Considering results of surgery as gold standard, sensitivity and specificity of Western blotting was estimated. Results: Sera of 29, 26, and 16 patients with hydatid cyst reacted with specific bands of hydatid cyst fluid (HCF), protoscolex crude antigen, and cyst wall crude antigen, respectively. However, none of the normal human sera reacted with those specific bands. Conclusion: A 20 kDa band of sheep HCF is an appropriate antigen for serodiagnosis of hydatid cyst infection. Background: The celiac axis, superior mesenteric artery (SMA), and hepatic artery are the most important branches of abdominal aorta due to their vascularization field. The aim of our study was to evaluate the prevalence of different anatomical variation of celiac axis, SMA, hepatic artery, and its branches with multidetector computed tomography (MDCT) angiography of upper abdomen arteries. Materials and Methods: MDCT of 607 kidney donor and traumatic patients that referred to MDCT unit at Al Zahra Hospital in Isfahan from 2012 to 2015 were retrospectively evaluated. We excluded patients with history of abdominal vascular surgery and hepatic or pancreatic surgery. Computed tomography images of the patient were obtained with 64-row MDCT scanner and anatomical variations were analyzed. Results: Three hundred and eighty-eight (63.9%) of the 607 patients had classic arterial anatomy and 219 (36.1%) patients had variant types. The most common type of variation was the origin of the right hepatic artery (RHA) from SMA (9.6%), and the next common variation was the origin of the left hepatic artery (LHA) from the left gastric artery (6.9%). Variations in the origin of the common hepatic artery (CHA) were seen in 16 (2.6%) patients. Buhler arc was identified in two patients. The RHA originated from the celiac axis in 11 (1.8%) patients and from the aorta in 8 (1.3%) patients. 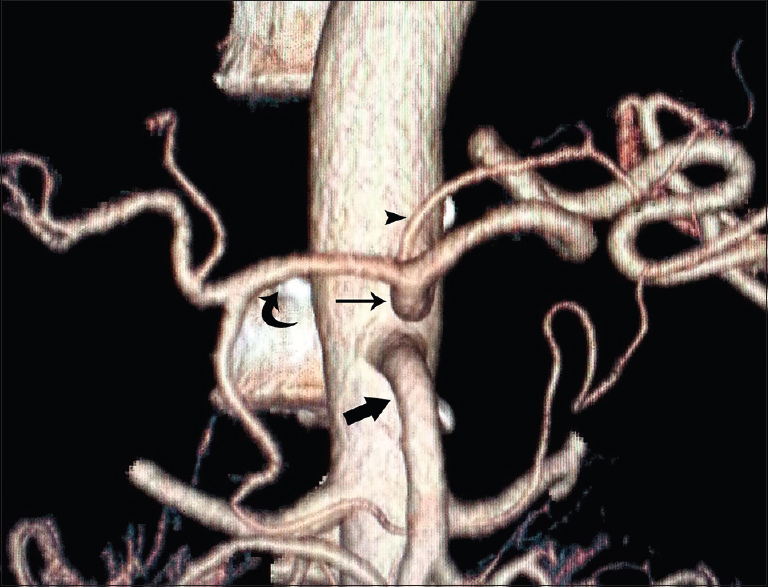 Trifurcation of CHA into gastroduodenal artery, RHA, and LHA was detected in 11 (1.8%) patients. Conclusion: The results of the present study showed that anatomical variation occurs in a high percentage of patients. Detection of these variations can guide surgical and radiological interventional planning. Background: Preterm labor (PTL) is the main challenge in prenatal health care, leads to high rate of mortality and increases cost of health services. To evaluate the preterm delivery (PTD)-related risk factors, we decided to measure nitrite oxide metabolites and cervical length (CL) as the diagnostic and predictive tools for PTD in women and response to tocolytic therapy. Materials and Methods: In this case–control study, sixty women of 18–35 years with first pregnancy during the 24–34 gestational weeks with PTL in case group admitted to the delivery section of Beheshti Hospital, Isfahan, Iran were included. Sixty women in control group have the same specifications. NO and CL level were assessed, and the collected data were analyzed by SPSS software, version 20 and MedCalc software, version 15.1. Results: The two groups were similar regarding maternal and gestational age (P > 0.05). Lower level of NO was observed in PTL women with a mean of 35.30 ± 8.27 μmol/L compared to the normal gestation group with a mean of 39.05 ± 10.17 μmol/L (P = 0.035). In addition, the diagnostic accuracy of both PTL-predicting factors was determined (NO ≤31, sensitivity 99.7%, specificity 82.5% and CL ≤22, sensitivity 80%, specificity 99.9%). Conclusion: As the previous investigations stated, it can be claimed that NO might be the reliable marker for predicting the PTL, and administration of NO synthesis could be a candidate for the future therapeutic target. Background: Health-related quality of life (HRQL) and voice handicap index (VHI) of laryngectomies seem to be relevant regarding voice rehabilitation. The aim of this study is to assess the impact on HRQL and VHI of laryngectomies, following voice rehabilitation. Materials and Methods: A retrospective study done at the Ear, Nose, and Throat Department of the Emergency County Hospital. Sixty-five laryngectomees were included in this study, of which 62 of them underwent voice rehabilitation. Voice handicap and QOL were assessed using the QOL questionnaires developed by the European Organisation for Research and Treatment of Cancer (EORTC); variables used were functional scales (physical, role, cognitive, emotional, and social), symptom scales (fatigue, pain, and nausea and vomiting), global QOL scale (pain, swallowing, senses, speech, social eating, social contact, and sexuality), and the functional, physical, and emotional aspects of the voice handicap (one-way ANOVA test). Results: The mean age of the patients was 59.22 (standard deviation = 9.00) years. A total of 26 (40%) patients had moderate VHI (between 31 and 60) and 39 (60%) patients had severe VHI (higher than 61). Results of the HRQL questionnaires showed that patients who underwent speech therapy obtained better scores in most scales (P = 0.000). Patients with esophageal voice had a high score for functional scales compared with or without other voice rehabilitation methods (P = 0.07), and the VHI score for transesophageal prosthesis was improved after an adjustment period. The global health status and VHI scores showed a statistically significant correlation between speaker groups. Conclusion: The EORTC and the VHI questionnaires offer more information regarding life after laryngectomy. Background: Proper sleep is essential for the development of premature infants. Infants, during hospitalization, might suffer from inappropriate postures and insufficient sleep hours. 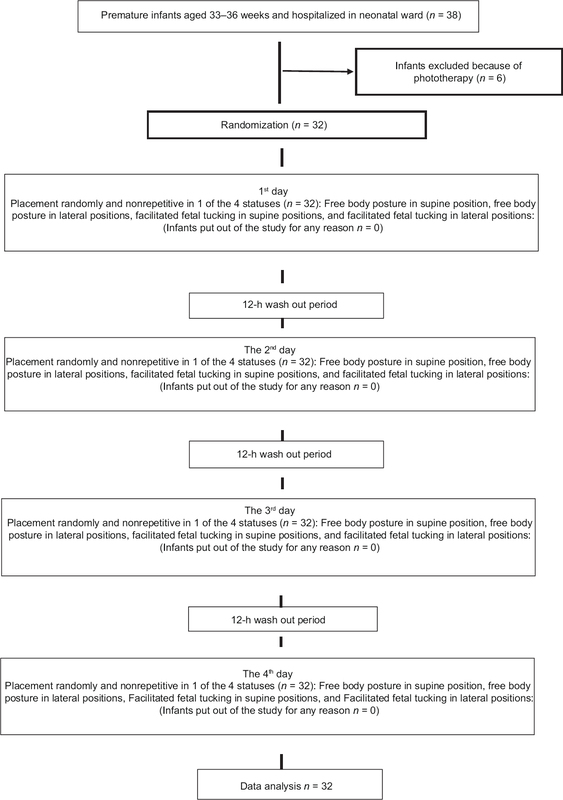 To compare the daily sleep quantities of premature infants in flexed (facilitated fetal tucking) posture and extended (free body) posture. This study is a randomized clinical trial which was conducted in neonatal ward of Al-Zahra Teaching Hospital of Tabriz, Iran, 2015. Thirty-two premature infants with the age range of 33–36 weeks were selected for the study. Materials and Methods: Every infant was studied for 4 days in a sequential format. Every infant was studied for 4 days and in a 12-h period every day (8 a.m–8 p.m). Each day, an infant was randomly put in one of the four statuses, namely, free body posture in the supine position, free body posture in the lateral position, facilitated fetal tucking in the supine position and facilitated fetal tucking in the lateral position. Films were recorded in the 12-h period (8 a.m–8 p.m). SPSS Software (version 13) was used for data analysis. Results: The results showed that about the main effect of posture on sleep variable, there was a statistically significant difference (P = 0.003). In addition, about the main effect of position on sleep variable; there was a statistically significant difference (P = 0.002). Meanwhile, there was no significant interaction effect between the posture and position for the daily sleep duration (P = 0.746). Daily sleep duration of the infants in flexed (facilitated fetal tucking) posture and lateral position is longer than that of the infants in extended (free body) posture and supine position. Conclusion: Daily sleep duration in the infants experiencing flexed posture and lateral position at rest is longer. Moreover, it decreases wakefulness time of the premature infants.